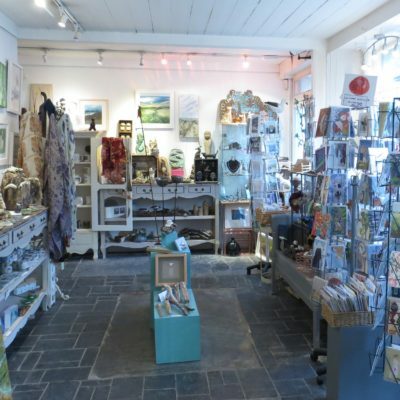 ESTABLISHED SINCE EARLY 2008 and open all the year round, The Jane Adams Gallery, at 41 Fore Street, St Just (satnav TR19 7LJ) is housed in a 200 year old granite building close to the town square. There is on street parking in the Square for a short stay and all day FREE parking in the main carpark off Market Street. The gallery is easily accessible by bus from Penzance or St Ives with the bus stop being near the car park. 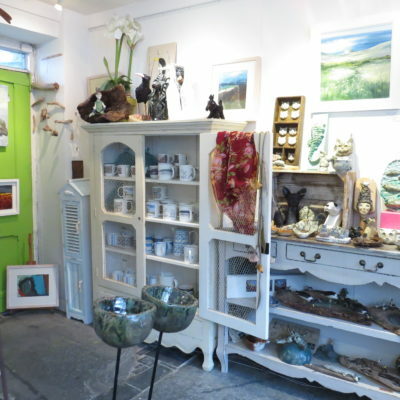 As well as showing paintings by Heather Howe, Marianne Nicholls, Nancy Pickard, Tim Maycox and Sally Welchman, the gallery is a permanent show case for my ceramics with special one off gallery pieces for sale featuring found objects and driftwood so it is always worth a visit. These pieces are not available on the website. All last year I have been working on a range of linocut printed textiles and there is always a good selection of teatowels, cushions, lampshades, lavender bags and draught excluders on display. In addition to the printed textiles are coasters, badges, magnets and a new range of printed ceramic mugs, bowls, dishes and jugs. There are some new quirky giant cat doorstops too. New for 2019 are is our black and white tableware range – departure from my normal stoneware. The gallery always has a regular display of the distinctive St Just Artisan Jewellery – my range of handmade earrings, necklaces and rings using hand cast tin, sterling silver, copper enamel and crystals/beads. We also stock our own range of handmade organic St Just Artisan Soap which makes the gallery smell wonderful all the time. The windows are a particular feature of the gallery and are the first thing visitors notice when coming in to town. 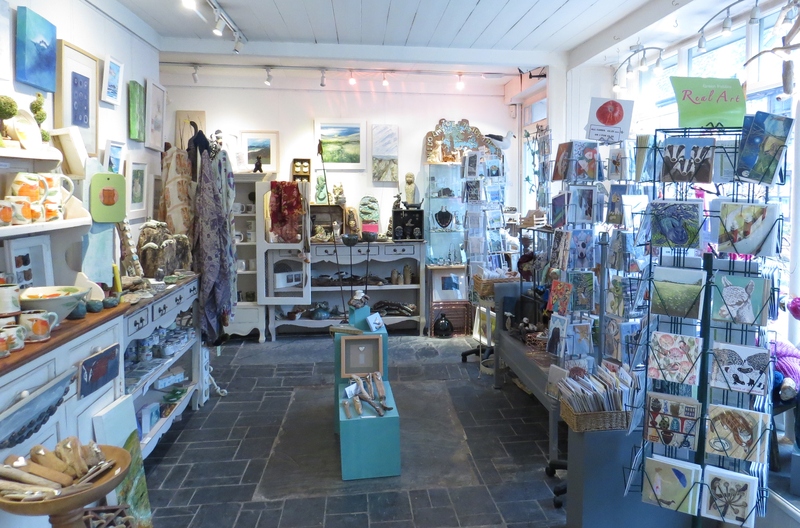 The gallery supports emerging artists and often has work that cannot be found elsewhere in Cornwall. Please see the drop down menu for full details of the featured artists. If you are making a special trip to see me personally please phone ahead first on 01736 786695 to make sure I am around and not away at a show or up country.